The International Women’s Day on March 8th marks a historically significant opportunity to celebrate the social, economic, cultural, and political achievement of women. Observed and marked around the world, this day serves as a platform for renewing commitments and efforts in addressing gender equality. 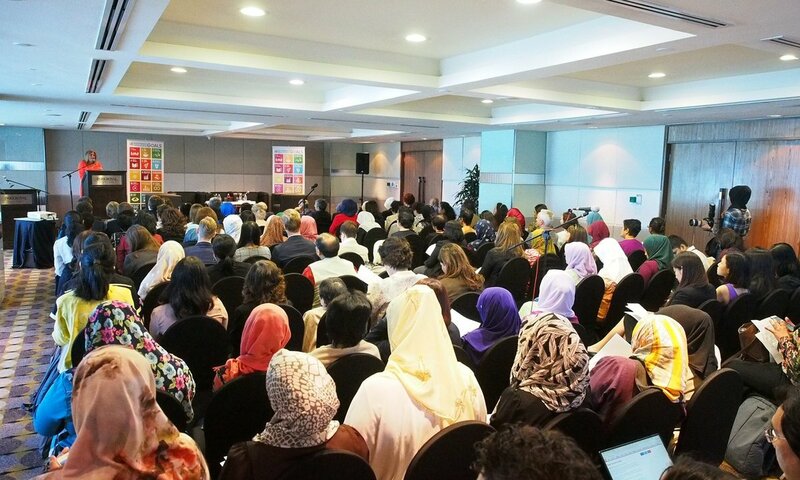 To commemorate this important day, the United Nations Country Team through its Gender Theme Group, the European Commission, and the United Nations University International Institute for Global Health (UNU-IIGH) organised a forum on the theme “Towards Women’s Health and Rights: Leaving No One Behind” in Kuala Lumpur, Malaysia. This remarkable event brought together a huge crowd of 140 distinguished individuals from across stakeholder groups to be a part of the conversation on women’s health and rights, as well as the importance of gender equality in achieving the Sustainable Development Goals (SDGs). The event is honoured to witness the attendance of a large number ambassadors, consulate-generals, and representatives from embassies of various countries. Other attendees include local and international representatives from ministries, academia, private sectors, NGOs and civil-society organisations. Mr. Stefan Priesner, the UN Resident Coordinator and United Nations Development Programme (UNDP) Resident Representative for Malaysia, Singapore, and Brunei Darussalam delivered the welcoming remarks. In his speech, Mr. Priesner calls for gender equality and the empowerment of women and girls, which are crucial to ensuring sustainable development, justice, and human rights. 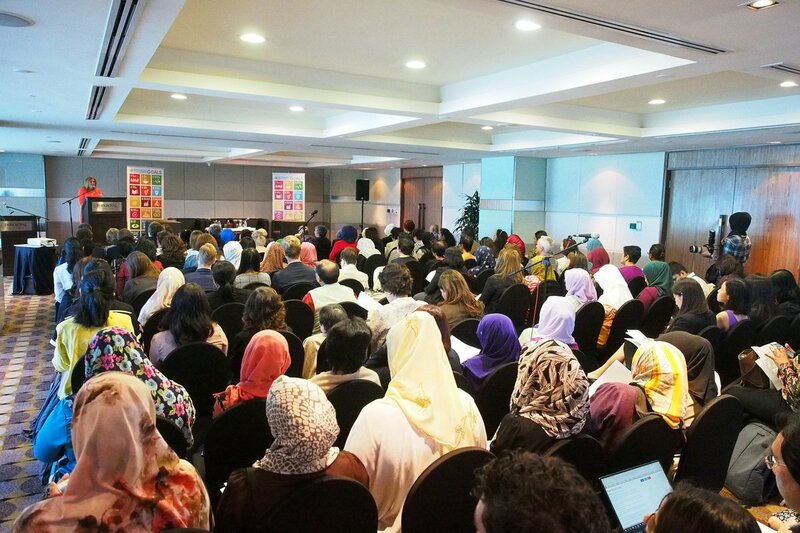 The UN partnered with the European Commission on the “Spotlight” Initiative on eliminating all forms of violence against women and girls in 2017 – and it is significant that Her Excellency Maria-Castillo Fernandez, Ambassador and Head of Delegation of the European Union to Malaysia graced the event as the agenda on women’s health and rights is discussed. We were also extremely honoured to have Dr. David Malone, Rector of the United Nations University and the UN Under-Secretary-General present at the event. 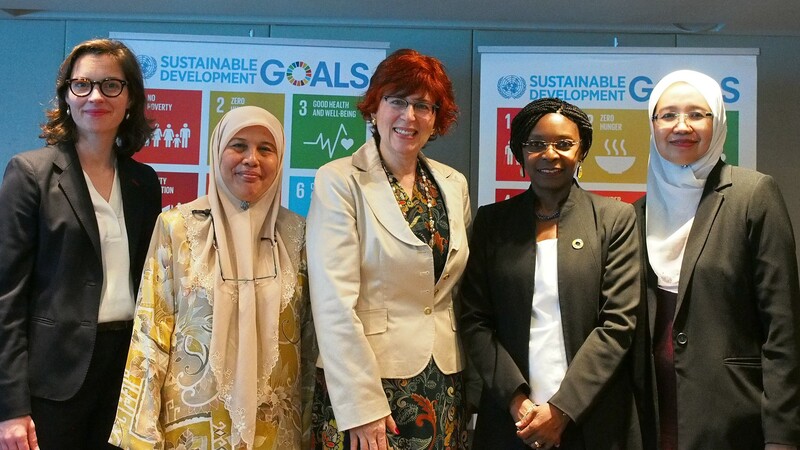 Professor Pascale Allotey, Director of UNU-IIGH delivered a keynote address on the theme of the event, addressing issues of women’s health and rights, particularly non-communicable diseases, sexual and reproductive health and rights, and gender-based violence. Factsheets which evaluate the available evidence on these issues in the context of gender equality were carefully prepared by Professor Pascale and the female staff of UNU-IIGH with the assistance of Surekha Garimella. These factsheets were made available to all the event attendees and can be downloaded here. The highlight of the event was the panel discussion that brought together three influential speakers – Dr. Flavis Bustreo (Eminent Global Health Physician), Professor Siti Hawa Ali (Interdisciplinary Health Science Unit, Universiti Sains Malaysia), and Professor Dato’ Dr. Aishah Bidin (Commissioner, Human Rights Commission of Malaysia). Moderated by Dr. Sabine Becker-Thierry (Chief of Staff, Rector’s Office, United Nations University), the panel conveyed powerful messages for the empowerment of girls and women in health, protection of their rights and the legal frameworks that exist to enable these rights, and gender equality – in the context of cultural complexities. Speaker Ms. Jasmine Begum, Director, Legal, Corporate and Government affairs of Microsoft Malaysia & New Markets remarked that women, wives, and mothers are most often the healthcare decision-makers at home and they can make a change. Lastly, Ms. Marcela Suazo, United Nations Population Fund (UNFPA) Representative for Malaysia and Chair of the United Nations Gender Team Group closed the event with a strong message calling for zero-tolerance to violence against women and addressing women’s contribution to every country’s economy. The event was also mentioned in local media and can be accessed here.